Free Online Multiplayer Games in Puzzle Genre! Glassez!2 Internet Community is released! 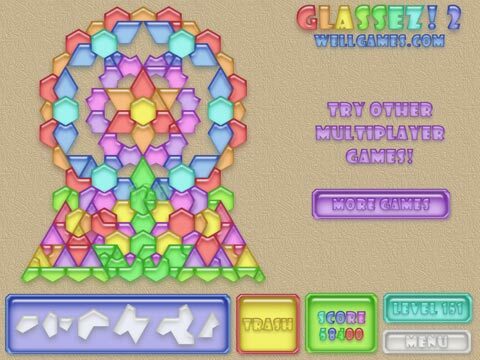 This game is the 2nd edition of the famous multiplayer puzzle Glassez! Play over 180 absolutely new fascinating levels designed entirely by our users! Your task is to create a nice stained-glass picture of variously shaped glass pieces. Rotate pieces to fit the right spot and send the useless ones to trash. Use your creativity and feel the emulative spirit playing in multiplayer mode! 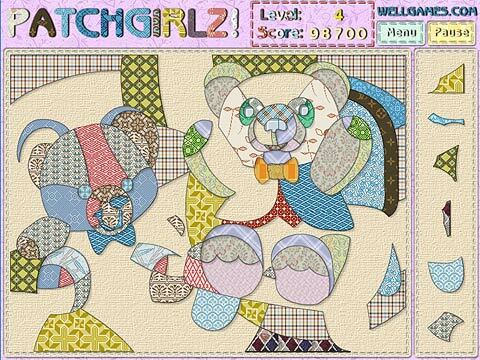 Online flash game Patchgirlz! is a new game of the popular Patchworkz! series! Welcome to the world of girls' dreams! Enjoy cool idea, bright colors and addicting gameplay. Meet a really catching mosaic learning game with 30 motley colorful patterns. Clobber, make-up, sweets, pets, parties, music and cool guys - everything that makes the life of a stylish modern girl. Just complete a pattern using different color patches. Simply drag them and place in the required spots of the picture. 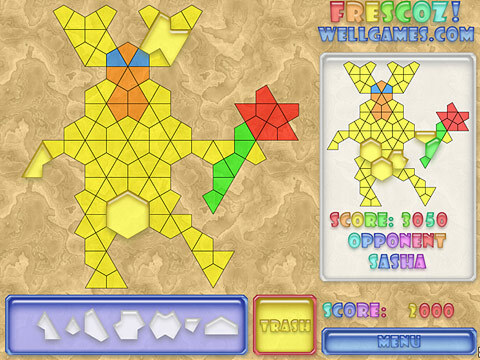 Become a real puzzle expert with new online learning game Frescoz! Frescoz! 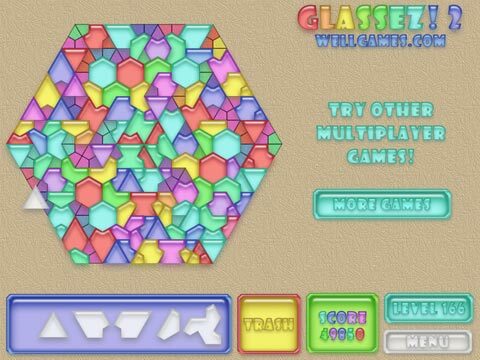 is a new version of your favorite multiplayer puzzle game Glassez! Tons of great pictures to complete, new pieces shapes and pattern layouts. Complete pictures of 12 zodiacal signs on different levels to pass this puzzle game! Your task is to make a stained-glass picture of variously shaped glass pieces. Rotate the pieces of different form and color by clicking on them and put them into the appropriate part of the pattern. Use Trash Box to get rid of useless pieces but be aware of loosing points this way. Feel an artist - create your own levels! 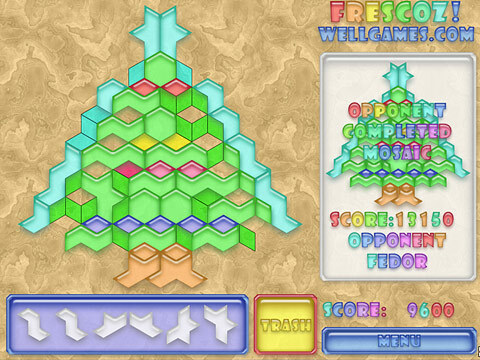 Play this colorful casual game online for free! 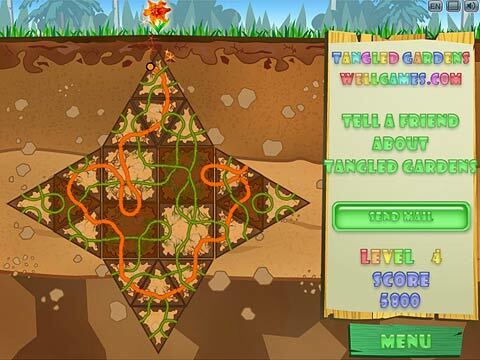 Play free puzzle game Tangled Gardens and enjoy an amazing maze! Our journey lies through the underground mazes of beautiful gardens. 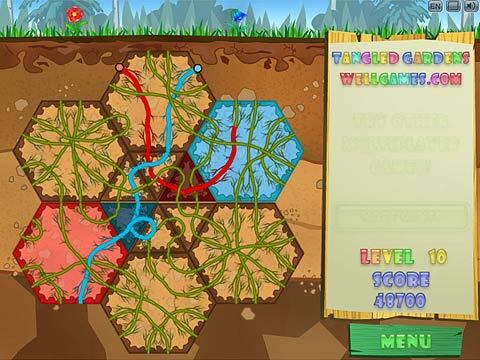 Have you ever wondered how deep and tangled roots run below the surface? A new puzzle game Tangled Gardens presents a unique opportunity to steep in to the unseen world of flowers. Plan your plan root network so that flowers may revive. You'll face different types of soil with incredibly tangled plant roots and a wide range of flowers. Develop your strategic abilities: the longer the line is, the more points you get. Improve your planning and reaction to solve riddles in the shortest possible time and get score bonus.